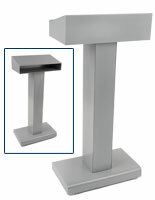 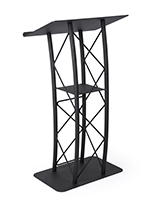 Is your business, facility or organization looking for a lectern or pulpit, but overwhelmed by the hundreds of different styles of professional-quality podiums for sale? 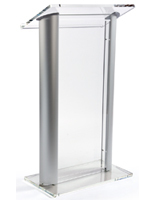 Browsing our selection of most popular podiums can be a great place to start the search for speaking or presentation furniture. 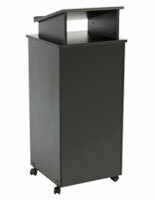 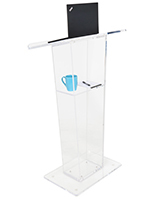 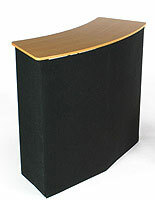 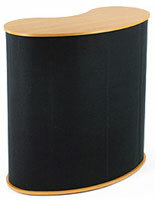 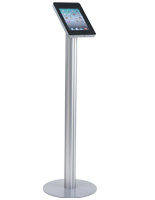 Chosen by our customers, these best-selling lecterns for sale, our finest and most economical commercial speaking stands, span the full range of available styles. 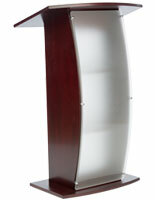 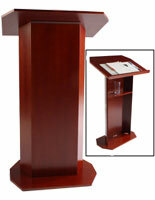 Lecterns for churches and chapels, schools, auditoriums, conference facilities, organizations and clubs, libraries and boardrooms are represented. 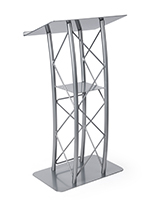 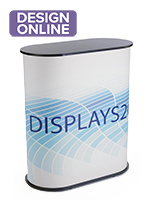 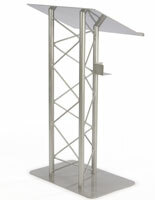 In addition, we offer podiums for sale with and without lights, pulpits with built-in speakers, portable speakers stands for trade shows and portable laptop lecterns. 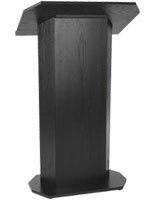 Our demonstration and presentation furniture for public events ranges from permanently installed church pulpits to lightweight portable tabletop podiums for sale. 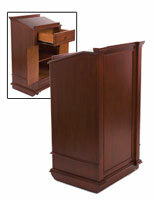 These best-sellers showcase the many different construction materials and finishes that are available. 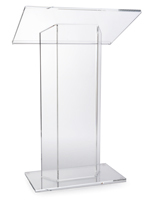 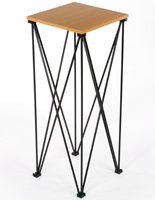 From lightweight clear acrylic with a modern look to classic solid wood church pulpits to the clean lines of a portable truss lectern, all styles of speaking furniture are represented. 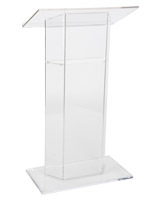 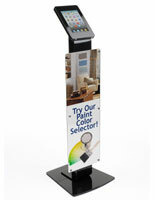 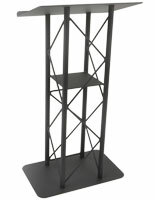 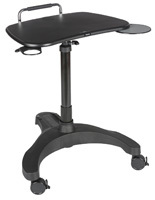 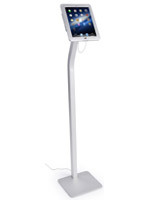 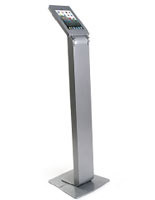 It's easy to find the right choice stand for any public speaking engagement, demonstration, or reading here at Podiums2go.com, and our trained customer service team is available via live chat, email, or telephone to help with any questions.